Solid bright white hand rubbed satin lacquer finish. 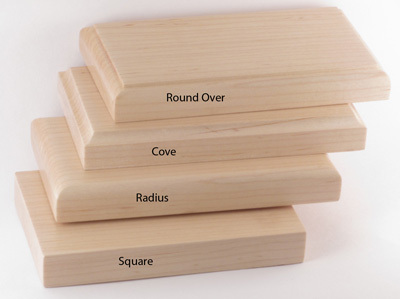 Constructed from solid North American Maple. Peg spacing is 5 inches on center and the pegs extend 2". The back rails are three quarters of an inch thick. It’s been a busy day and you are so tired that all you want to do is kiss your children goodnight and then kick back in your recliner with a nightcap and the newspaper. 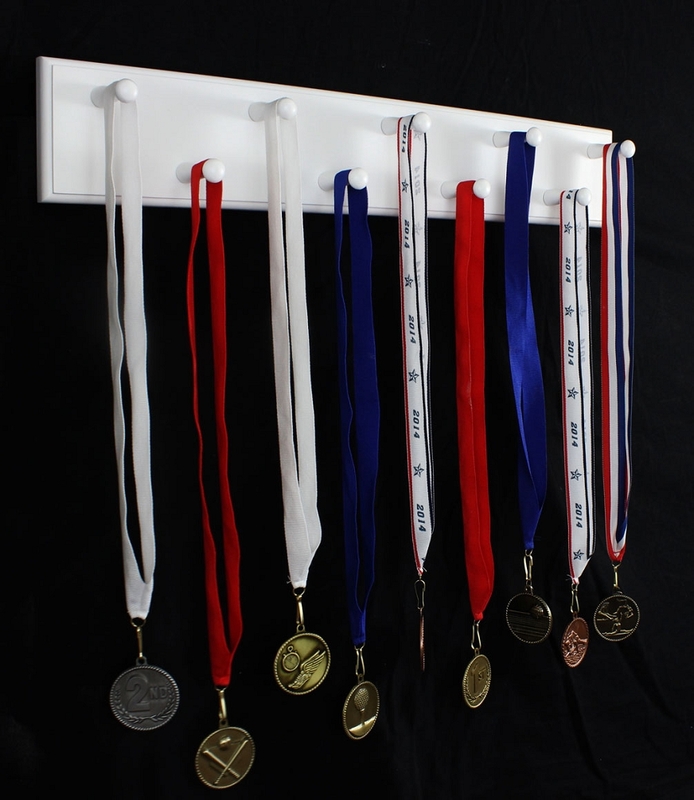 Then, as you walk through your little one’s room, you don’t see that medal on the floor in the dark. You don’t know it’s there until you step on it that is. Then you know the pain that ruins your relaxing evening. 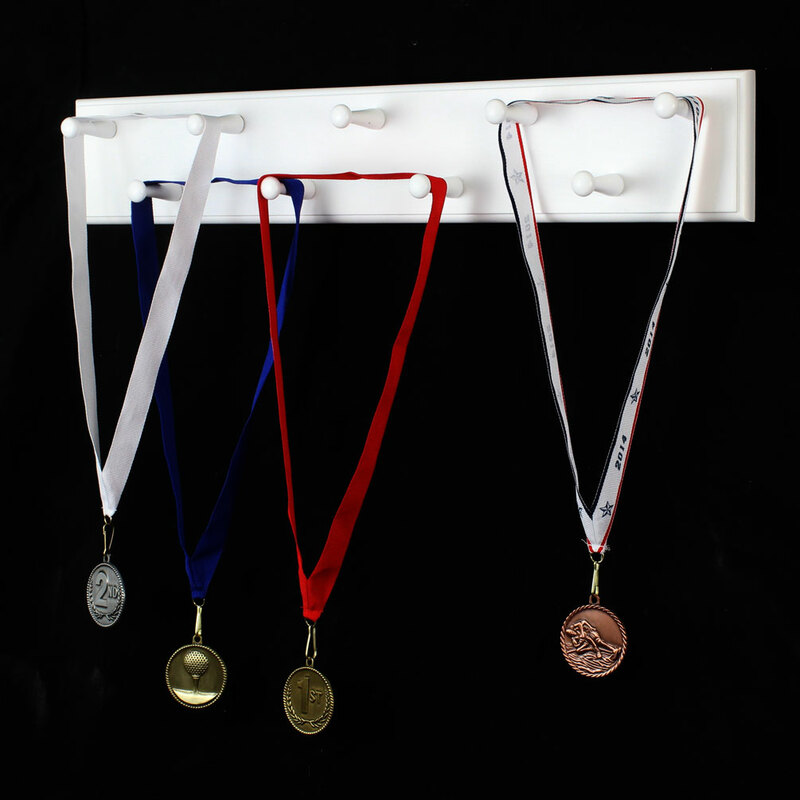 Instead of letting the medals stay on the floor whenever your children win something, consider a white medal display rack. 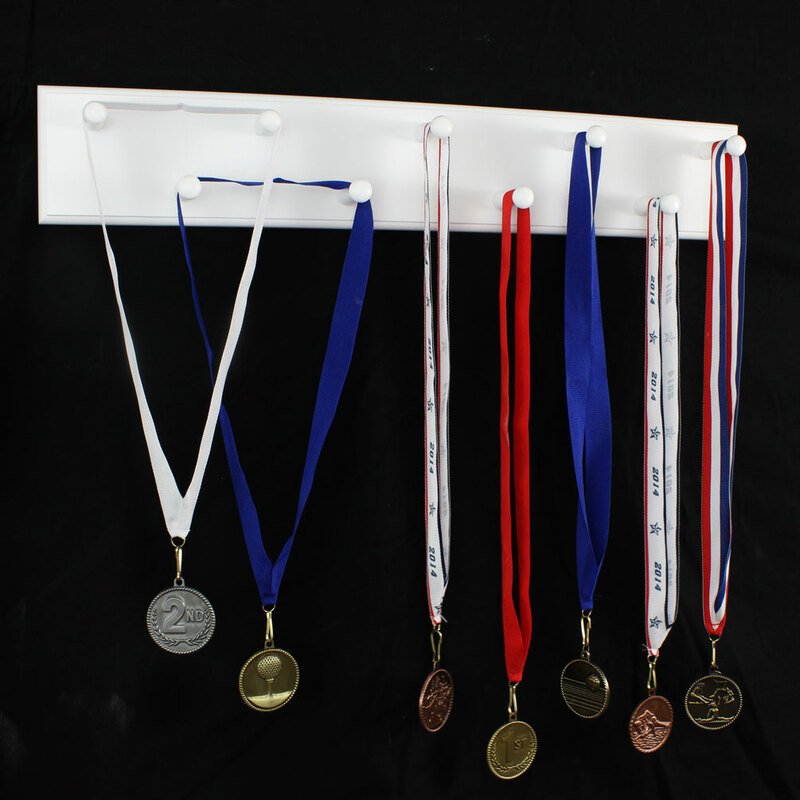 Made from solid hardwood and features two-inch long pegs perfect for all of those school and sports awards. 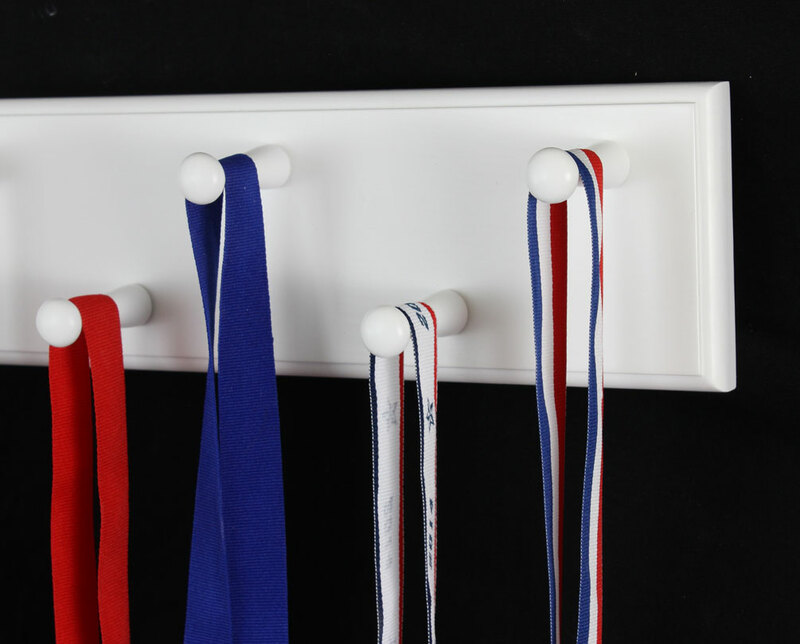 It’s available in a variety of widths from 15 inches to 55 inches and you can even choose from different edge profiles to match the décor in your home. Don’t leave those awards on the floor any longer.